The Bauerfeind ManuLoc is a wrist orthosis for use following diagnosis of carpal tunnel, "mouse hand" , or after operation or irritation of the wrist. 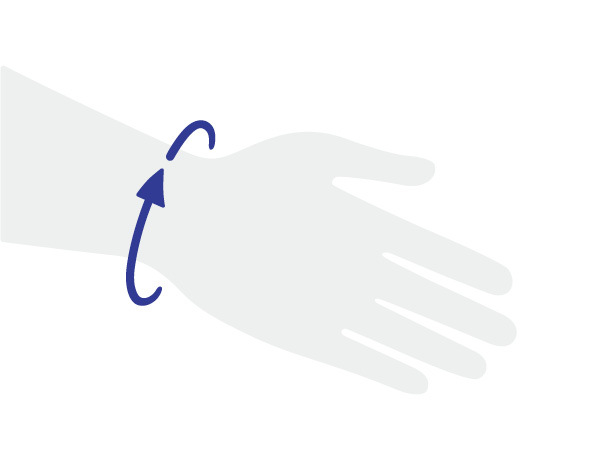 The ManuLoc keeps the wrist in proper position while allowing the patient to grip objects and perform daily activities, and also limiting unnecessary stresses of the affected area. Its breathable materials and air holes make the brace extremely lightweight and comfortable even after hours of use. The ManuLoc can be worn on the right or left wrist. The design is intended to speed of healing without restricting movement. You will be prevented from making movements that will cause pain, but the hand is still free to grip. It is especially easy to put on and remove, and moisture will pass through the breathable fabric so perspiration does not accumulate under the brace.